Another great version! Green smoothies are great for breakfast or a snack, as they will provide you with a lasting source of energy. Fruits are a good source of energy, but eaten alone will only provide short bursts of energy (they contain lots of sugars, which are quickly metabolized). 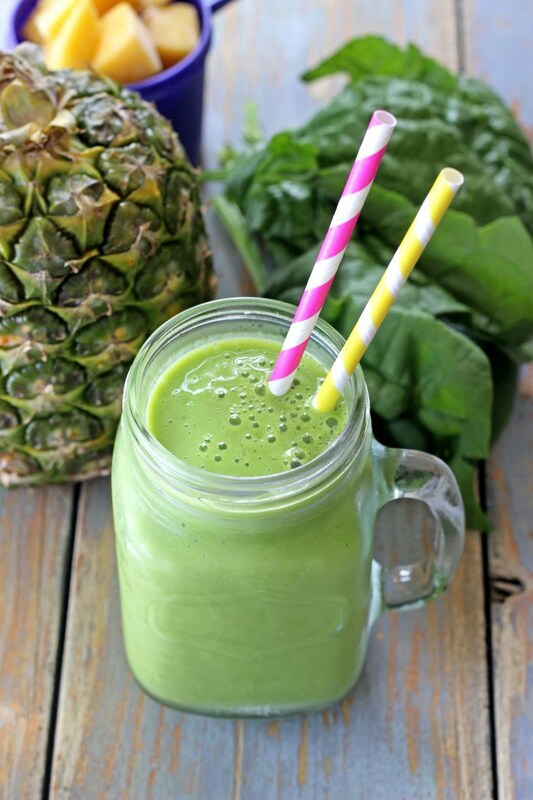 Because of their high content of veggies, green smoothies have a balanced sugar content. They are also full of vitamins and minerals. Simply blend together. You can refrigerate all the ingredients beforehand so that the smoothie is chilled. You can even freeze the pineapple beforehand to make it even colder if that’s preferable.